Mokuti Etosha Lodge just 4 minutes outside the gate of Etosha National Park, is the gateway to a unique safari experience. 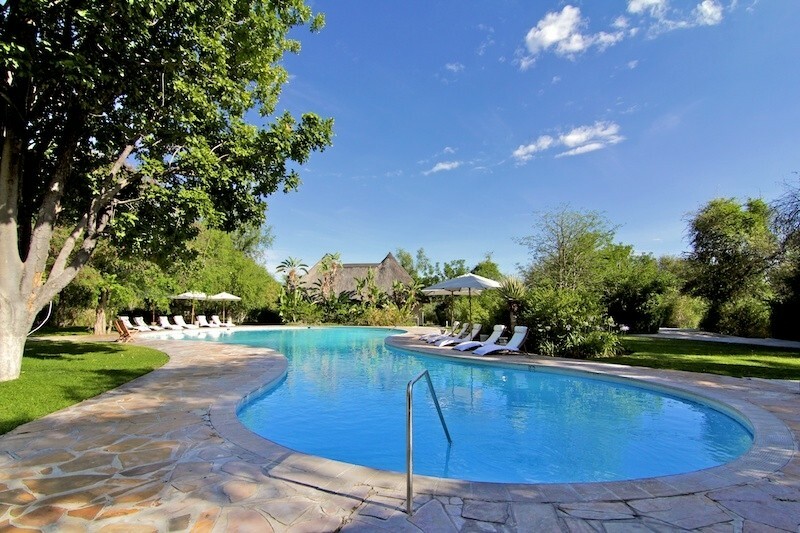 Mokuti Etosha Lodge close to the Namutoni entrance gate into Etosha National Park is a welcoming cool green oasis where sprawling thatched buildings, sparkling pools and tall shady trees guarantee you a warm Namibian welcome. Mokuti is located on its own private 4,000 hectare Nature Reserve which shares a common border with the fascinating wildlife reserve Etosha National park. 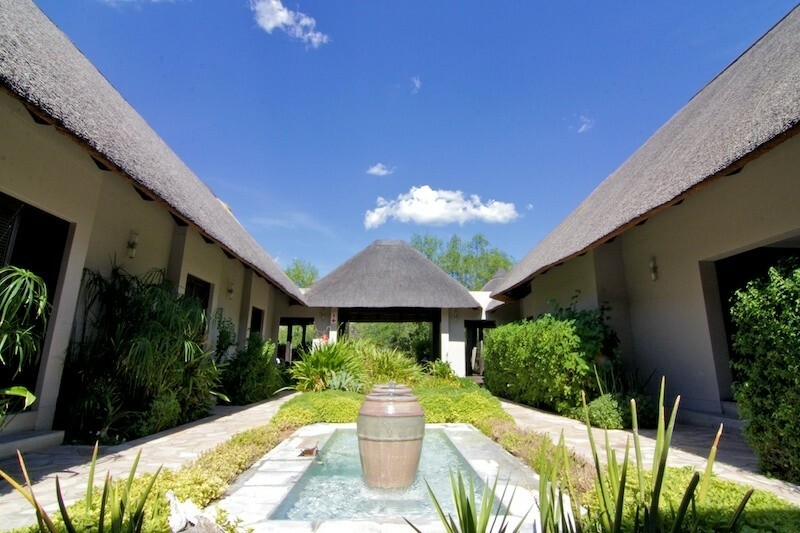 All 106 rooms combine European standard with traditional African charm and are situated in chalets with thatched roofs in the wide spread and tranquil gardens. 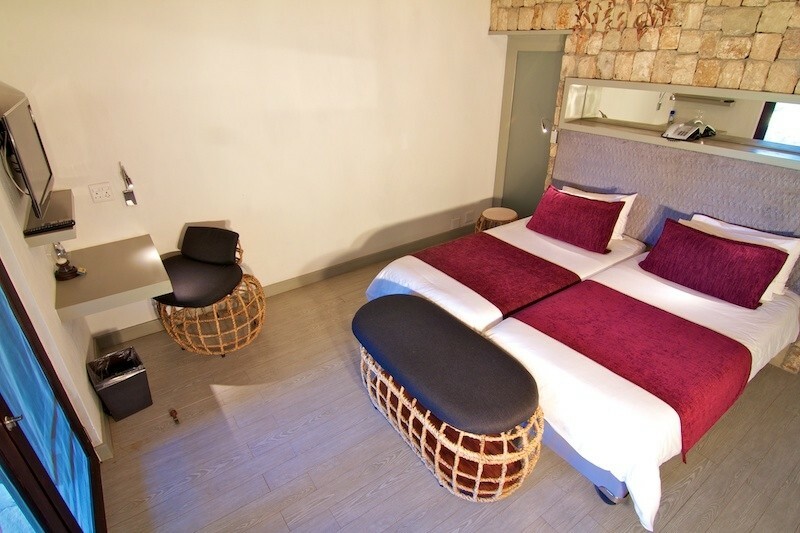 8 Luxury Family rooms consisting of a separate double room and lounge sharing a bathroom and separate toilet. In these rooms a maximum of 3 children can share with parents. There are three venues to choose from for groups ranging from 25 to 130 people, depending on the function and the preferred seating style. The Oshoto Indoor Venue, the Onduno Indoor Venue and the Rock Room. Overnight conferences are possible with up to 212 delegates sharing either twin rooms or 106 single occupancies. PC and Internet Wi-Fi hotspot. 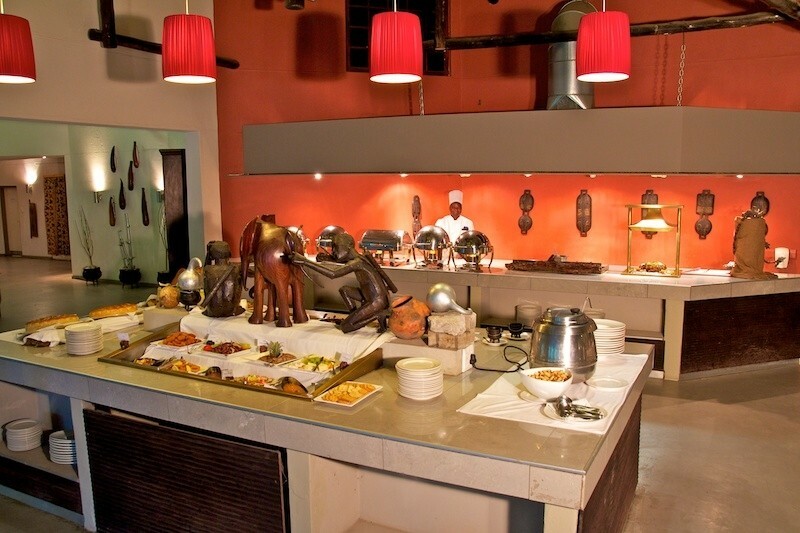 Boma offering Traditional African Grill Cuisine, open on certain nights. The bars are open daily and serve a selection of the finest wines, liqueurs and spirits. 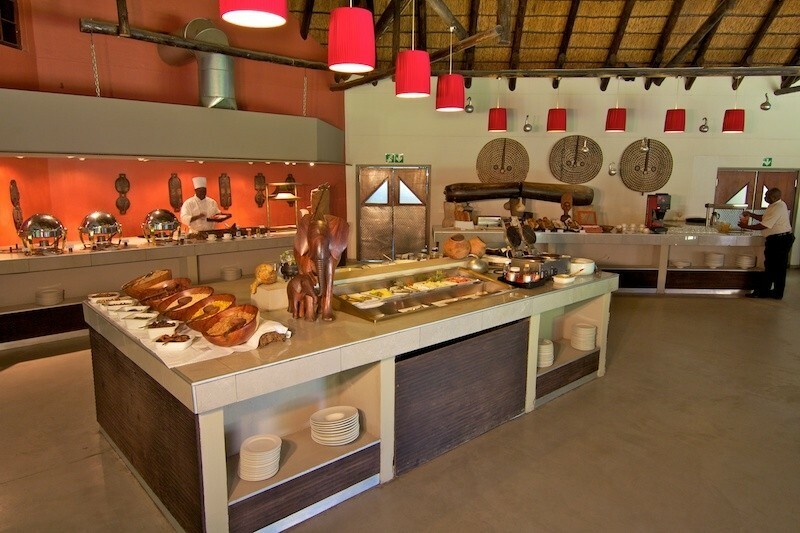 The Marula Bar is situated in the main building next to the lounge area. 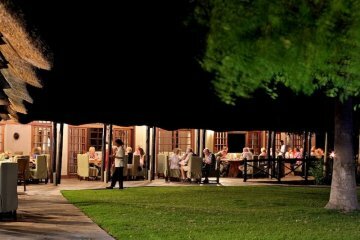 You can enjoy a great selection of African and international cocktails, long drinks and beers from 17h00 onwards. 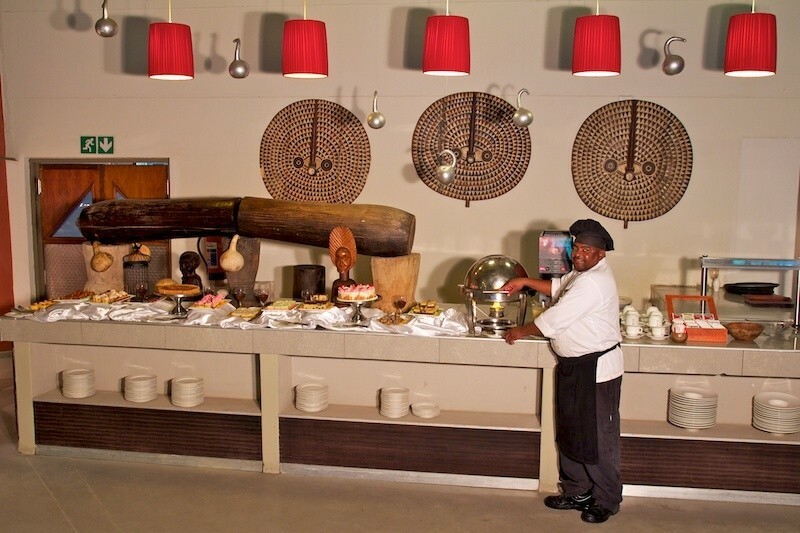 Mokuti Lodge has a variety of activities on offer to the young and old.